The jackfruit is a mulberry plant native to India. Today the jack trees grow in all tropical regions of the world, they get up to 20 m high. The yellow-purple pulp has a sweet-juicy taste resembling that of bananas. 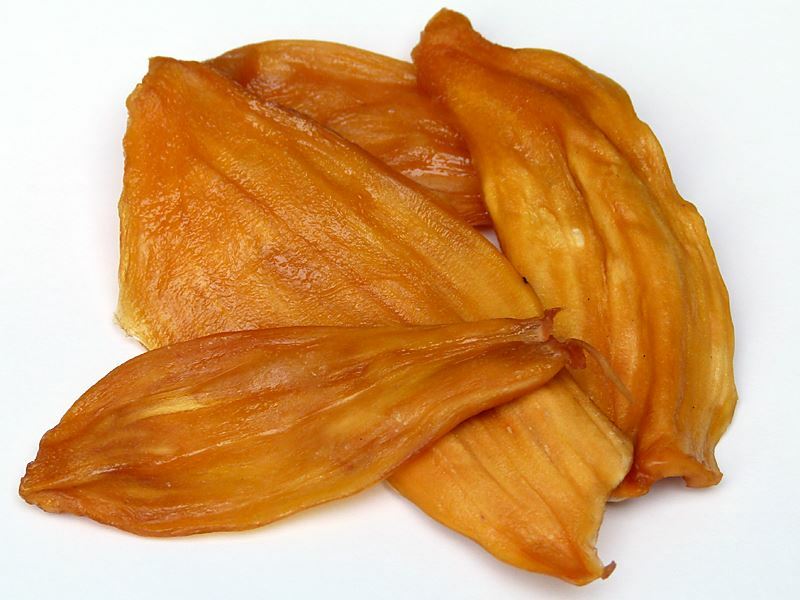 With vitamins B and C, pro-vitamin A and the mineral nutrients calcium, phosphorus, and potassium, the jackfruit provides the body with many important substances. With a length of up to 100 cm, a diameter of up to 50 cm and a weight of up to 50 kg, the jackfruit belongs to the biggest tree fruit worldwide, due to its weight is grows directly at the tree.